Since we cannot always control toxic mold spores (every home has them) and the inside of our homes cannot always be surrounded by UVA/UVB light we can try to prevent mold from growing by controlling the humidity, water and moisture levels. 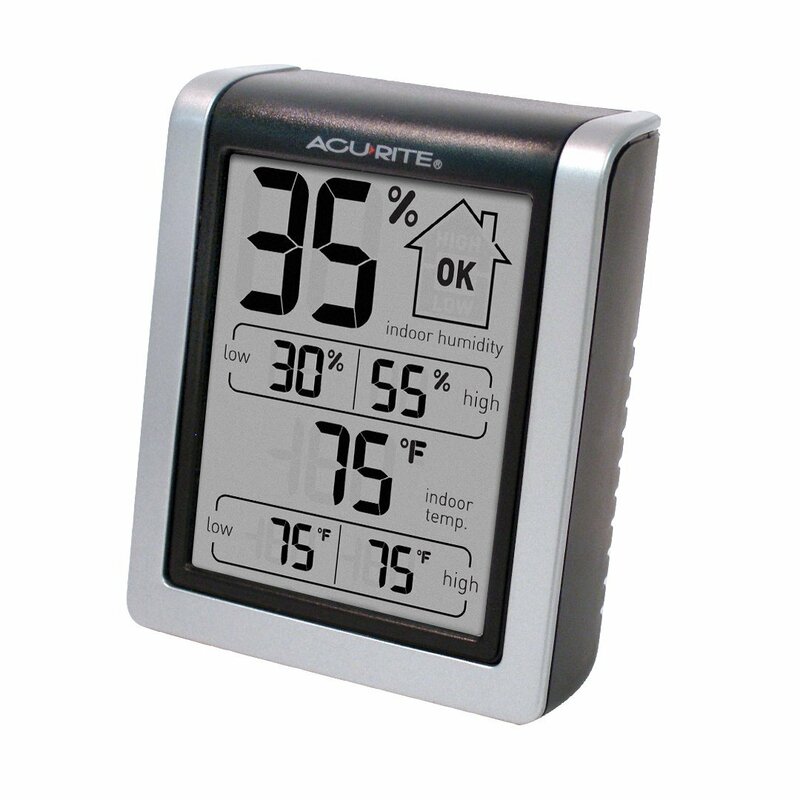 MOISTURE METERS: One way to do this is to monitor your home's humidity/moisture levels using a moisture meter. There are many moisture meters on the market and most all of them do a great job of identifying the percentage of water verses dryness in the air. Can Toxic Mold be killed, denatured or controlled by temperature? "Appropriate Temperatures. Unfortunately, most molds grow very well at the same temperatures that humans prefer. In addition, anyone who has cleaned out their refrigerator quickly realizes that temperatures close to freezing are not cold enough to prevent mold growth and temperatures that are much warmer than humans prefer, like those of the tropics, will grow abundant quantities of mold. Therefore, it is not feasible to control mold growth in our home environment through the control of temperature." How many times have you or your family members taken a shower, turned on the exhaust fan then walked out way before all of the moisture has left the bathroom? Did you realize that by doing this 2-3 times per day you are actually causing moisture that is left behind to activate toxic mold spores. This is one of the main reasons of a high concentration of toxic mold found in bathrooms. Did you know that there is a technology that can actually keep your fan running until ALL of the humidity has left the room. Even after you've left the bathroom? It's a genius invention that can be used as yet another home prevention technique to avoid future mold problems in wet shower areas. In this video "Weekend Workbench" will demonstrate how to install a "Humidistat" sensor and fan contol into your current exhaust fan. Below the video we've also listed the tools and supplies you'll need to install it yourself.